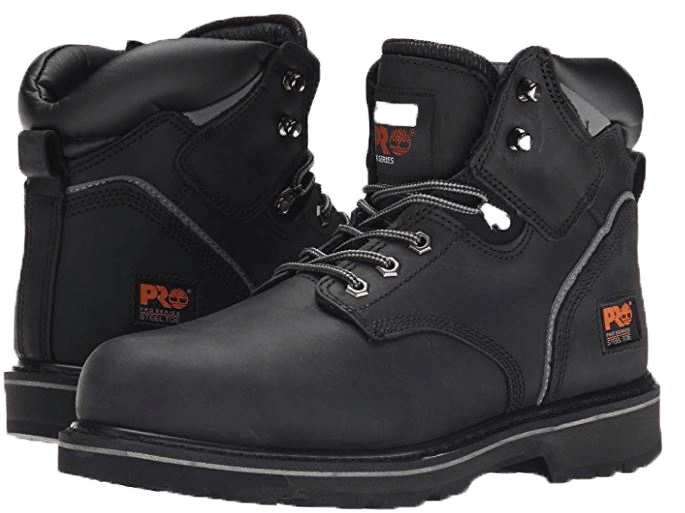 If you need a pair of work boots that are comfortable and will protect your feet from job site hazards, then take a look at our Timberland Pro Pit Boss review; these boots might be what you've been looking for. 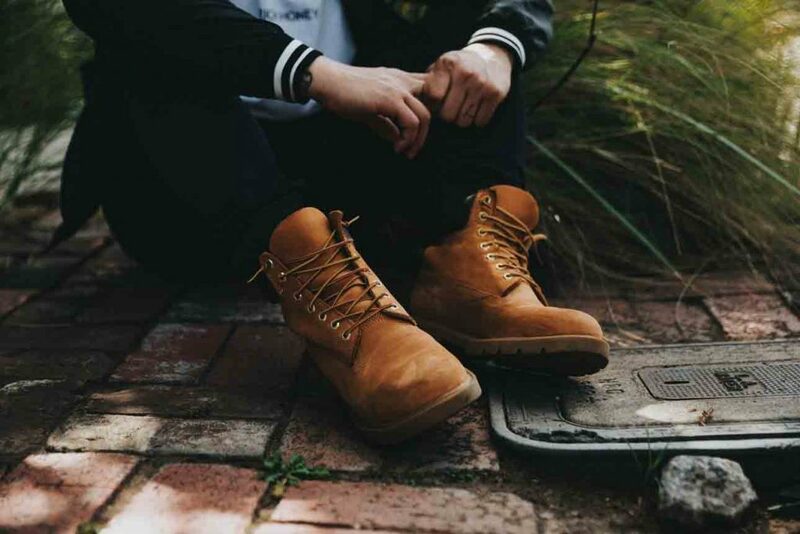 Timberland has been crafting life-ready shoes since 1918 and is one of the top names for footwear in the commercial sector. With that said, how does the Timberland Pro Men's Pitboss line live up to this reputation? In this review, we're going to dig deep and find out exactly how the Pitboss performs as a rugged, rough and tumble work boot. In addition to this, we're going to put it up against its top competitors and see who comes out on top. If you need a pair of durable and versatile work boots, then the Timberland PRO Men's Pitboss 6" Steel-Toe Boot might be exactly what you're looking for. They will protect your toes from impact, are safe to use near electrical hazards, and are comfortable on concrete for long hours. On the other hand, if you need a pair that is waterproof, then we do not recommend this particular work boot. How do the Timberland Pro Pit Boss Actually Hold Up? 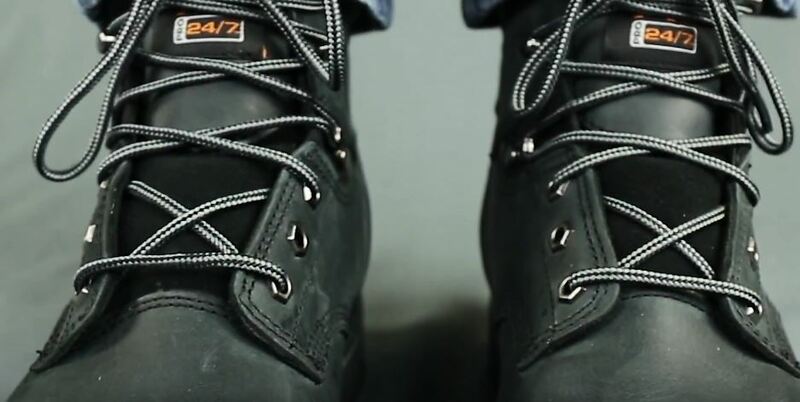 Who Should Own the Timberland Pro Pitboss Boots? Can the boot be used for any electrical hazardous job? Is it good for winter and snow? What is the ANSI Rating of this boot? What does D(M) and 2E stand for? What's their difference? Where can you get the Pitboss? Your feet should be protected. The ANSI steel toe standard is there to let buyers know that the shoe has met certain compression and impact criteria. 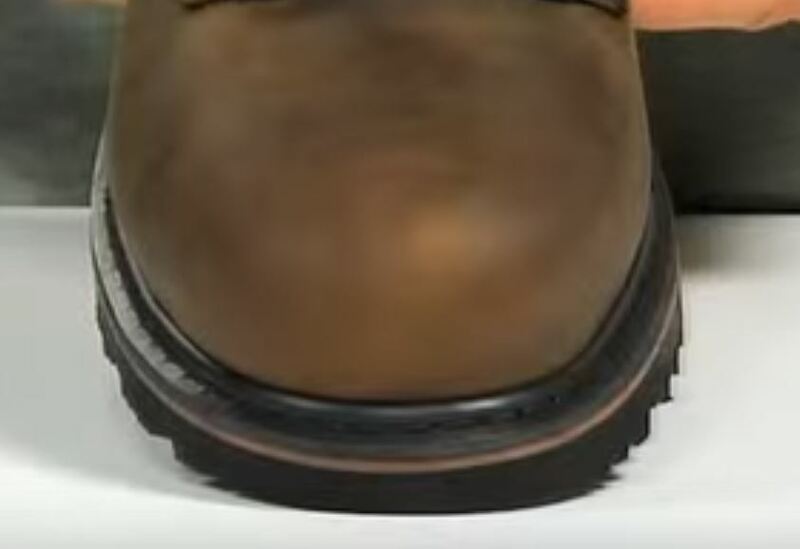 ANSI stands for the American National Standards Institute and primarily covers boots with built-in steel toe protection; typically rubber overshoes aren't considered in this standard. A shoe must be marked "ANSI Z41.1" to prove that it's ANSI-compliant. 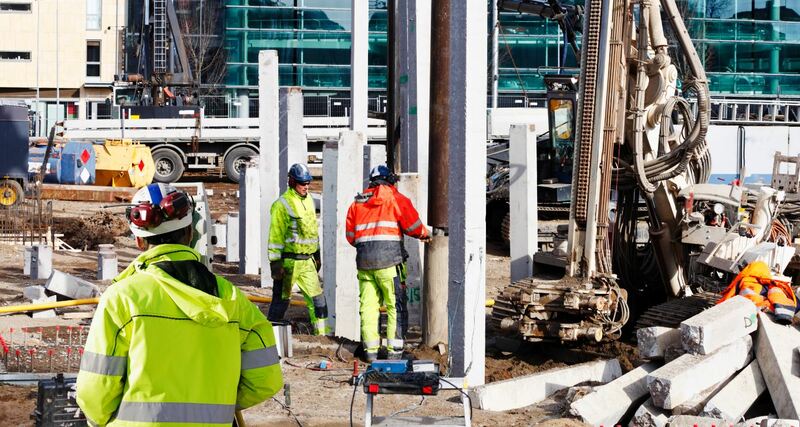 Slip, oil, and abrasion resistance are all very valuable features on most worksite. 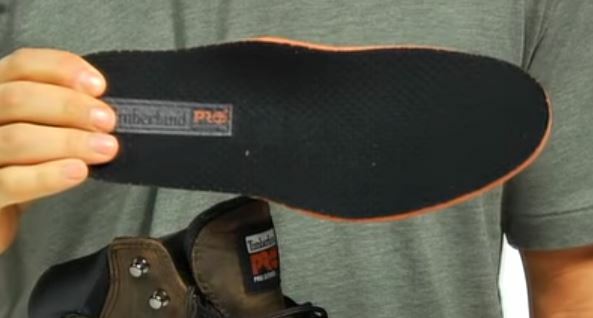 If you work on a site with chemicals then the Timberland Pro Pitboss uses a rubber outsole with these safety features. Additionally, if you work in a job where you are exposed to electrical hazards, then having a pair of work boots that can help ground you so that you can avoid injury is very important. This is a great feature for electricians. Anyone who works on their feet for eight hours a day knows that comfort is very important. These shoes have a 24/7 comfort suspension system that effectively adds a layer of cushioning for your arches. This cushioning provides arch support and reduces foot fatigue. Additionally, and for added comfort, these boots also have a removable sock liner and a padded collar that also adds cushioning to your feet. The final comfort feature is its polyurethane midsole. This midsole wicks moisture away naturally so that your feet stay dry, even when you've been sweating. In addition to needing protection, some prefer their work boot toe box to be larger so that their feet won't feel too constricted during the workday. This material also does a great job of absorbing shock, so if you have to do a lot of jumping down off of higher platforms, these boots can work well for you. These work boots have a lot of great features - at least on paper, but how well do they work in practical use? We took the time to do some research and find out exactly how well these boots stand up in a work situation. Comfort (5/5): If you work long hours on harder flooring or ground, then you need a boot that'll make the time you spend working while standing a little more comfortable. These Pitboss boots provide cushioning at several points so that your day is made much easier. Safety (5/5): If you need a full-featured safe work boot, there are few out there with as many protections as the Timberland Pro Pitboss. Since worksites can vary, it's of great value to know that your work boots can manage spilled oil, chemicals, and aren't easily abraded. Add to this protection against electrical hazards and a heavy-duty steel toe box that protects against compression and impact, and you're fairly well covered with the Pitboss. Durability (4.5/5): These are very durable work boots. Comprised of nubuck leather that is very strong and protective, these boots are definitely rugged enough for most work situations. In fact, there are few boots on the market today that are as prepared for harsher work environments than the Pitboss. That being said, there are a couple of points of contention in these boots' design when it comes to durability. Firstly, the metal eyelets that hold the laces have a tendency to warp over time and even pop off. Secondly, if you work in a quarry or another rocky environment, it's easy for small rocks and sand to come in through the tops of these boots. Waterproofing & Insulation (2/5)﻿﻿: While you might think that with all of the abrasion, oil, and slip resistances, that these Pitboss boots would be water resistant as well, but unfortunately, this isn't the case. We're not sure why Timberland decided not to make these boots waterproof, but if you are planning on using these in an overly moist environment, you might have to waterproof them yourself first. Insofar as insulation, these aren't insulated either, which means that you might have to wear insulated socks with these in colder environments. The bottom line is, these boots really are made for indoor worksites without much moisture. Support (4/5): The reason why we gave this a 4/5 is because it takes a while to really break these in, so in your first days, you're going to feel a bit stiff in these, which isn't very supportive. Outside of these first few days/weeks, these are very supportive boots with a midsole and arch that actually absorbs shock and makes your feet comfortable during your day. Style & Look (4/5): Typically, when you're investing in a work boot, you aren't investing in a sense of panache. That being said, these boots look nice enough to be worn outside of the work environment, but you're not going to be starring in any fashion shows. Price (4/5): One of the best features of the Pitboss is how cheap it is compared to some of Timberland's other boot offerings. While these aren't bargain basement-cheap, they are fairly inexpensive, especially considering their utility. Weight (4/5): Many of the steel-toed work boots on the market are fairly heavy, which can lead to fatigue as they day progressed. The Pitboss, on the other hand, is relatively light; they only weigh about one pound and nine ounces, so you shouldn't feel overly weighed down in these. These Pitboss boots are extremely supportive. From the tough nubuck outer materials to the interior cushioning and the suspension system, it's clear that Timberland wanted to design a boot that can last through a tough day at work. 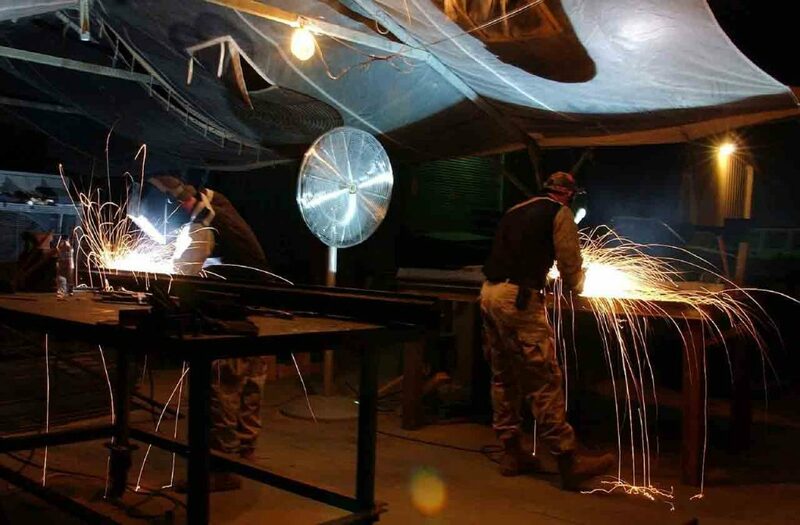 Anyone who's worked at a plant knows that mishaps can happen at the drop of a dime, which is why we also really appreciated Timberland's efforts to make the Pitboss as resilient to these types of factory and worksite accidents as possible. The outsole is wide enough to resist slippage and it's designed to withstand both the dangers of oil and abrasions, which can happen easily. 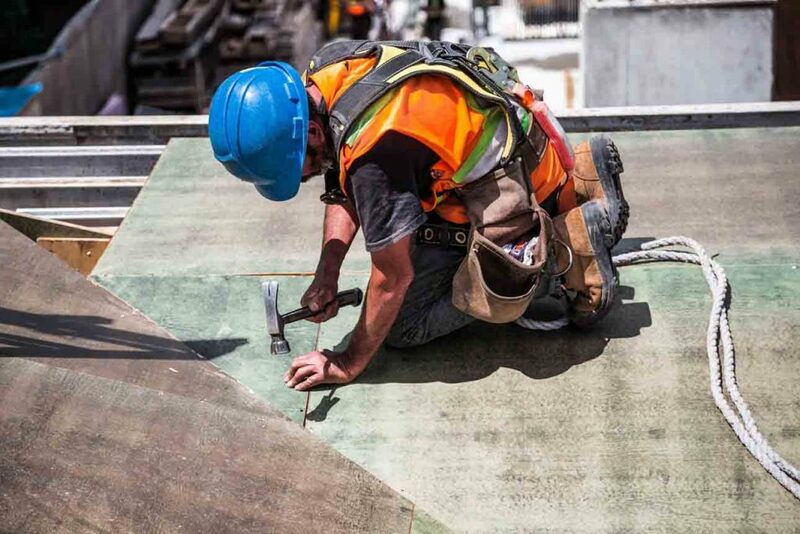 While not everyone works around heavy loads and electrical hazards, we think that the fact that these have a strong steel toe construction and electrical hazard resistance is definitely a step in the right direction as pertaining to worker protection. We also really appreciated the clear dedication to a lightweight overall construction. Timberland managed to not sacrifice durability and support for a lighter overall boot, which goes a long way towards making long work hours easier. Unfortunately, these aren't the perfect boots, but that doesn't mean that they aren't great. In spite of this greatness, we don't understand why Timberland didn't make these waterproof. While you can waterproof them yourself, it seems like an unnecessary extra step. If you find yourself in even relatively shallow water, the water will seep in through the mesh upper section, which is a real shame. Additionally, these take a little while to break in. We get that the material of these is thick so that it protects your feet from calamity, but these will be uncomfortable for the first days or weeks of ownership. Don't get us wrong, after this tough period has passed, the boots feel great, but it's the period leading up to this point that's a bit annoying. These also have a tendency to be a little too small, so if you need a ten, you might be better served by purchasing an 11. This is minor, but the extra size combined with the shoe's wider toe box can make them feel a bit odd on the feet. Finally, a wider toe box isn't for everyone. This area is highly protective and ANSI compliant, but it leaves a lot of room for your toes and some workers prefer a thinner toe box on their work shoes. This can be a minor foible, but for some, it can be a deal breaker. Any job where you have to stay on your feet is perfect for the Pitboss. 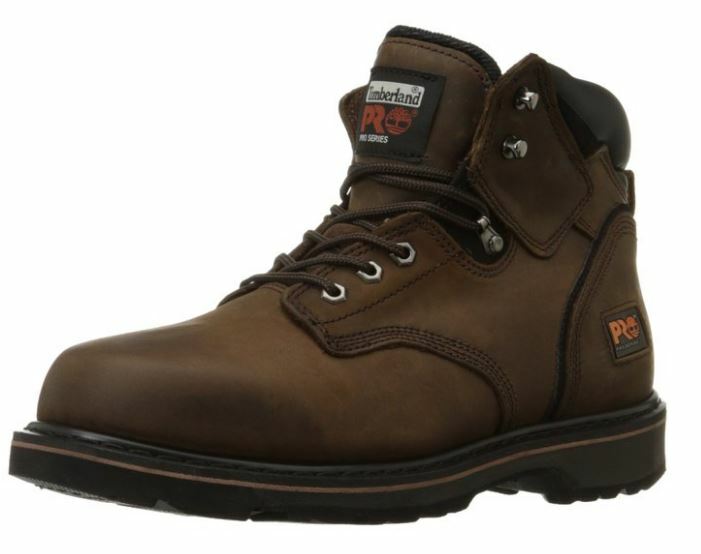 With the supportive construction, cushioned inner structures, and shock absorbing construction, these boots are great for the types of longer more active work in plants and factories. These are also good in a dry outdoor environment as well. While the lack of waterproofing can be a bit annoying, these are comfortable enough to take on a hike and are slip resistant enough to keep you from falling on some ice. If you work outdoors on concrete, these are great, even if you have issues with fallen arches or plantar fasciitis. Standing on concrete can be rigorous for the feet, but these have good support for this type of situation. This is one of the better features of the Pitboss. With slip protection, yes. For protecting your feet against moisture and keeping them warm, no. Yes, they are designed to prevent slippage. The steel toe of the Pitboss meets both the I/75 and C/75 impact, compression ASTM F2412-11, and F2413-11 standards set aside by ANSI. These are both indicators for wider shoe widths. D(M) represents an average width for a boot or shoe for men, which is what the "M" is for. This can scale from about four inches wide on a size ten shoe to about 4.315 inches in width on a size 13. As the shoe increases in length, so too does its overall width. 2E, on the other hand, represents a wider forefoot because E is the widest selection that you can find on most boots and shoes. For the same size ten shoe, a 2E width would be 4.40 inches at the boot's widest part and on a size 13, the widest point of the shoe would be 14.62 inches. The Pitboss is available through several online retailers. In fact, Timberland also has an online store that ships internationally. Amazon also has them available and even has Prime delivery as an option. 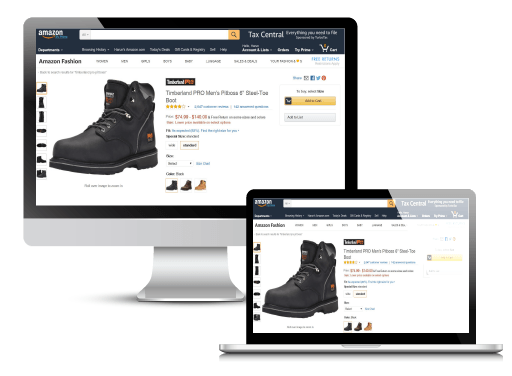 Timberland's site allows for three-day delivery, and Prime usually takes about two to three business days. Fortunately, Timberland does offer a warranty for their boots. They will cover damage that occurs due to shipping, but normal wear and tear and misuse aren't covered. Typically, defects are covered in the first 12 months. Since these seem to run a bit small, we recommend going one size higher so that you can have a fit that isn't uncomfortable. Since these take time to break in, you may have to be patient so that you don't turn them in for fitting poorly before they have time to acclimate to your feet. Since these aren't waterproof, it's useful to find a system of cleaning that doesn't use water. The bottom line is that you need an emory board. Simply go back and forth on the surface of your Pitboss boots and things like oil and residue will come off of the surface. Additionally, you can use Timberland's boot cleaner to remove a large amount of surface staining. If you need theses in a work environment with water, you can make them waterproof all-naturally using beeswax. Simply boil these ingredients in a tin can until they are liquid. Then, using a brush, scrub them into the surface of your Pitboss boots and let them sit for a full day. Remove the excess beeswax mixture from your boots with a cloth and they will be waterproof. There are other great Timberland PRO options out there; just consider these if you think Pit Boss is not for you. Another of the Timberland Pro series, this shoe is perfect for those who need some of the protection of the Pitboss, but can also use a little built-in waterproofing. These have waterproof leather uppers and sealed seams so that your feet remain dry. 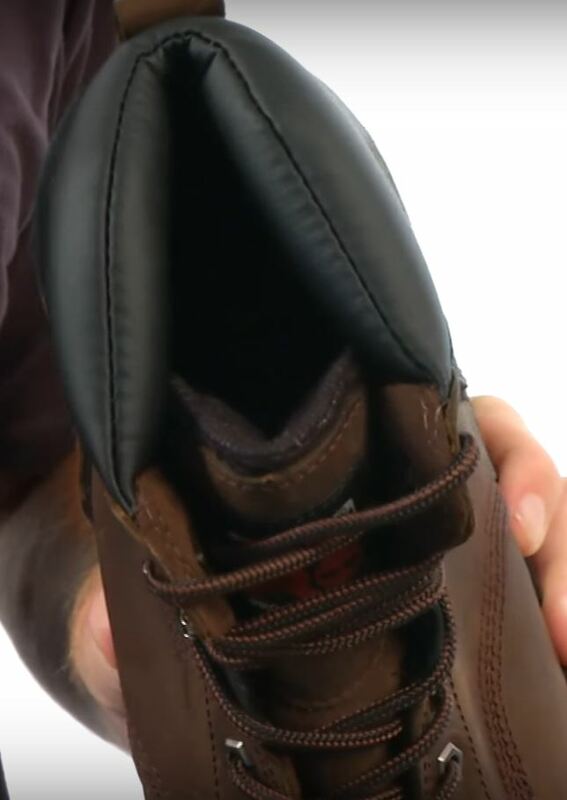 Like the Pitboss, the soles naturally wick away moisture for a dry foot, but these also have an anti-microbial treatment that will kill odor causing bacteria. They aren't as durable as the Pitboss, they will wear out in about a year under heavy work. 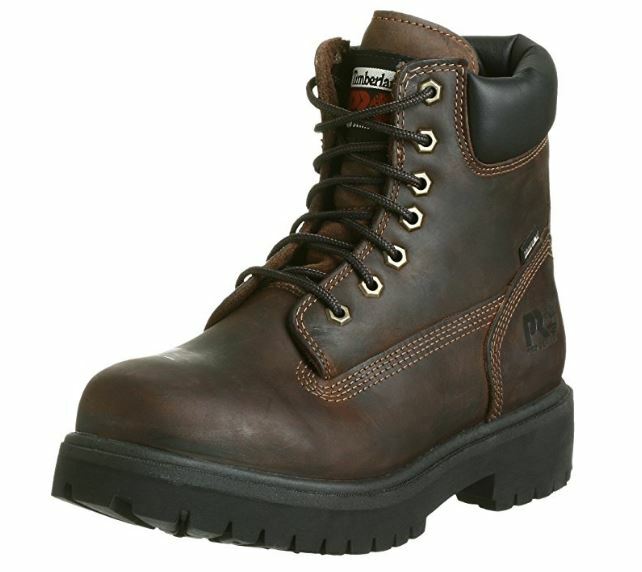 Unlike the Pitboss, these break-in much faster so that you can be comfortable on the worksite. Can be used in moist environments, unlike the Pitboss. Has built-in odor control, which the Pitboss lacks. The Pitboss beats these in toe protection. One of the biggest drawbacks of the Pitboss is its lack of upper protection and no waterproofing. If you're working on a site with a lot of gravel and dust, then you might like these boots a bit better. With built-in waterproofing, these are great boots for folks who work outdoors in moist environments. These are also insulated so that your feet are warm in cold outdoors. These are thoroughly waterproof, unlike the Pitboss. These protect your ankle and upper foot, unlike the Pitboss. They are also insulated to keep your feet warm. 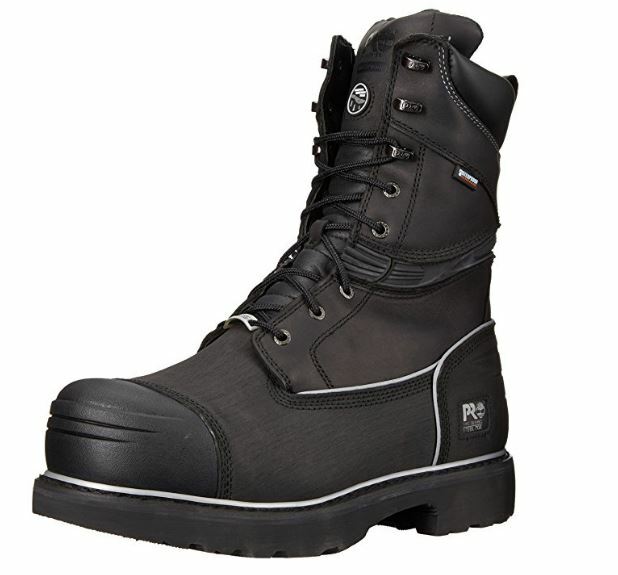 We like the fact that Timberland provides different types of Pitboss boots for its customers. These Pitboss models are soft-toe, but still provide the same protections like electrical hazard, slip, oil, and abrasion protections. These are a steel-toe-less variant of the Pitboss steel toe. For better or for worse, they have almost the same protections and shortcomings of the Pitboss steel toe. In summary, we would definitely recommend the Pitboss for the majority of work situations out there. It has all of the protections that you need when working around hazards whether those be electrical, oil, abrasion, or chemical. It is also comfortable to wear on longer days, and has shock absorption for when you have to jump and move quickly. 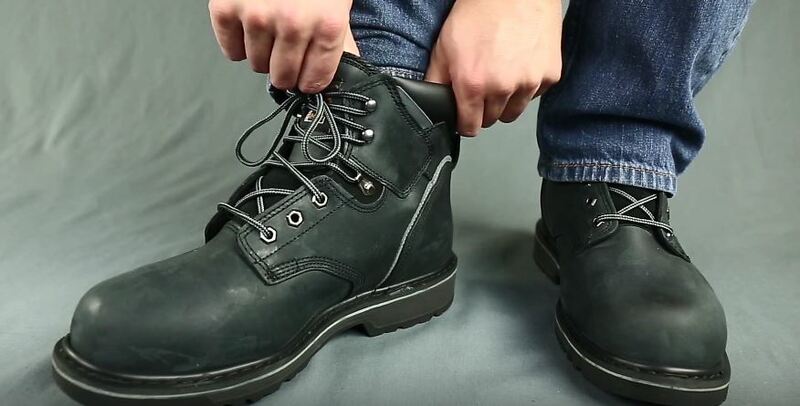 While we wouldn't recommend this shoe for a lumberjack or an outdoor electrician, it would work fine for someone who works in an indoor plant or factory. We suggest that you check out the Timberland Pro Pit Boss Steel Toe, especially if you need a workhorse boot that works to keep you safe and comfortable.